Leah Seltzer is thrilled to be working with LifeCycles where she can weave together her passions for gardening, education, and community engagement. Leah moved from Ontario to Cortes Island, BC, to participate in the Linnaea Farm Ecological Gardening Program in 2008. Ever since then, she has been an avid food grower, wild crafter, and herbal medicine maker. Throughout the growing season, her home is filled with drying herbs and food preservation projects of all kinds. Leah also has a strong background in youth engagement. Through the Partners for Youth Empowerment Training and her work with Reel Youth, Leah has become skilled in the art of facilitation and loves finding fun and creative ways to build community through collaboration, games, and connection with the natural world. She strongly believes in the therapeutic value of learning from nature, and appreciates the countless opportunities that gardening offers for relationship building and personal growth. As the former Director of the Friends of Cortes Island Society, Leah also has experience in non-profit management and is excited to support LifeCycles' growth and resiliency as an organization. When not in the garden, Leah can often be found writing songs on her guitar, hiking in the woods, and seeking out the best swimming spots. She is excited to be working with LifeCycles to bring more equity and innovation to our food system. Mary Tooley loves nature, and has always appreciated the beauty of nature's gifts. Originally from Ontario, she has also spent many years in the colourful and vibrant Yukon where she and her husband Gerald ran their own business in the tourism industry. Mary and Gerald have lived in Victoria since 1997, and have 3 married sons and 4 grandchildren, living in Victoria and in Texas. Mary holds a Bachelor of Commerce degree from Royal Roads University. Her professional life has been centred around business and financial management. Her past roles include Executive Director of the Yukon Chamber of Commerce, Commercial Banker for BMO and Business Consultant analyzing and reporting to businesses on opportunities for improvement. She is excited to have the opportunity to bring her knowledge and experience to LifeCycles as they navigate some planned growth and development. Mary currently fills two key roles for LifeCycles: Administrator and Accountant. Matt grew up searching for salamanders under rotten logs in the woods of Shawnigan Lake. He has been with LifeCycles since 2007 and has been integral in helping shape our seed, school, orchard and community food programming. He has deep passion for natural systems restoration in heavily urbanized environments, a passion inspired by a long history of listening to children in dozens of schoolyard gardens in Victoria and Vancouver. Matthew is a father, seed saver, community food commons creator, bread maker and lover of plants. He has a Masters degree in Environmental Education and Communication and a Bachelors degree in Political Science and Environmental Studies. Raised on the gentle shores of Victoria, Coast Salish Territories, Jenny has been fascinated by plants and trees for as far back as she can remember. 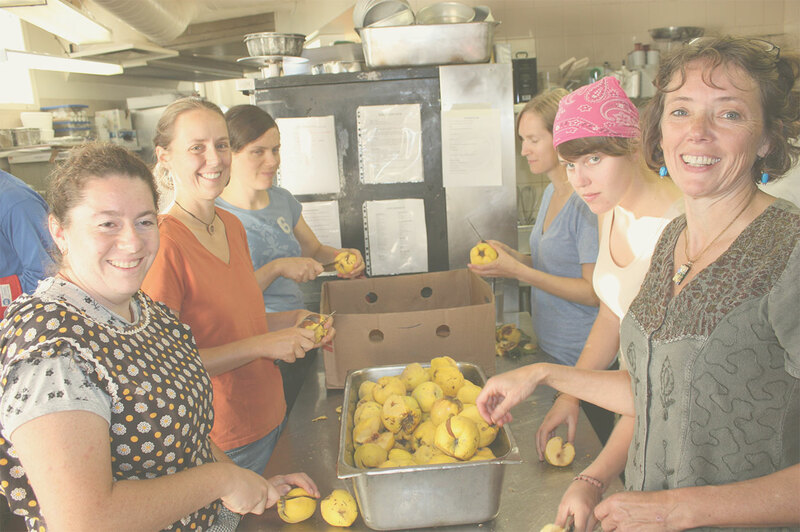 She completed a Masters Degree in Cultural, Social and Political Thought at the University of Victoria, and her work as a community organizer led her to LifeCycles in 2012, where she’s been involved in orchestrating the Fruit Tree Project’s city-wide fruit harvest ever since. Jenny loves the Fruit Tree Project for it celebration of abundance and all the incredible people who populate the project and come together in a spirit of cooperation and taking care of one another! Conveniently, pie is her favourite food. When Jenny isn’t focused on the gleaning of our urban orchard, she’s likely foraging or working with medicinal plants as a Medical Herbalist, growing food, or hanging out with her pup Gracie. Tim’s early life was spent on an array of isolated farms scattered across the Northern Interior. He discovered a profound curiosity about how natural, social and cultural systems interrelate to provide our ‘food.’ Tim spent his post-farm life exploring Europe and North Africa and studying the “history of systems of thought” in the Political Science department at UVIC. In recent years, Tim has focused his Political, Urban, Anthropological, Historical, and Philosophical questions through the problem of sustainable ‘food systems.’ Tim has been closely involved in the creation and expansion of “Ranfurly Farm,” the intergenerational enterprise started by his family in 2009. He also became interested in how such practices as wild fermenting and urban foraging, aquatic gardening and aquaponic systems, food foresting and mushroom cultivation, guerrilla gardening and public propagation can close gaps in accessibility and enjoyment. More hedonistic and experimental tendencies has inspired Tim to co-found a collective of chefs, bartenders, theatre practitioners, graphic and visual artists, farmers, and foragers to stage a series of culinary-oriented popup events that experiments with news ways for food and culture to produce community. Shereen Kukha-Bryson is over the moon to be part of the Lifecycles team and connect with diverse communities around food and the land! She is a person of the prairies, born and raised on Treaty 6 territory - Saskatoon, SK - but has set down new roots in Victoria, unceded Coast Salish Territory. She feels most connected to the land when she is working with folks, soil, plants, pollinators, and food in culturally rich contexts. With a background in Anthropology and Indigenous Studies from the University of Ottawa and the University of Victoria, Shereen has cultivated great appreciation for different cultural worldviews which has kindled her passion for engaging with different foodways. Her close connection to her Kurdish heritage has further deepened her exploration into the cultural stories, memories, histories, and relationships connected to food production. With the support and teachings from a number of plant mentors, Shereen has been engaging in food education over the past 7 years with an emphasis on school gardening and food security. In particular, she has had the honour to collaborate with children, youth, and educators on growing local food across Saskatchewan. Young people's enthusiasm and knowledge of their foodscapes continues to inspire and energize Shereen. She is eager to continue to co-produce empowering food systems with communities and hold space for our future generations! Michael is self-employed bookkeeper and former Lifecycles employee. He is a strong supporter on local food and grassroots development in general, and of Lifecycles in particular. In her day job Tysh is a business consultant supporting local community food systems. In his day job Jess is the Director, Policy, Legislation, and Planning at Court Services Branch, Province of BC. Watch for him in neighborhood apple trees, gathering fruit for home made cider. In her day job Jas is Senior Policy Analyst at Ministry of Children and Family Development. In her day job Lisa is an elementary school teacher. Previous to that, she was a farmer. Rhianna is a mom, a community-engaged researcher, and a fan of individual and collective behaviour change towards reduced consumerism. Rhianna graduated from the Global Resource Systems BSc Program at UBC in 2007. Through that program she discovered her passion for sustainable food production and food politics and built her skills and knowledge in in this area through courses, practicums and farming internships. Later, she greatly enjoyed working with the Environmental Youth Alliance as a coordinator, building gardens and developing programs for food system engagement in Vancouver. She is very pleased to be supporting this work at Lifecycles. Rhianna is finishing her MA with the Community Based Research Lab in UVic Geography. She works at the Institute for Studies and Innovation in Community University Engagement at UVic, assisting with community-engaged programs and research. The seeds for LifeCycles Project Society were first planted in 1994. In 1994, our founding members attended an international youth exchange in Santiago, Chile. The youth exchange program worked with local organizations to explore issues facing Canadian and Chilean communities, with a goal of developing projects that would enhance the quality of life within urban communities. LifeCycles’ founding members learned about the links between globalization, the corporatization of food systems, environmental degradation and food insecurity. They identified a need to spread awareness around issues with food security and increase food production within the urban community. LifeCycles’ first project was the development of community gardens, tended by youth, whose harvests supplied local soup kitchens. Our programs have since grown from there to include a number of interrelated initiatives that seek out to address urban sustainability and food security by offering practical, accessible and hopeful solutions. We believe that local action, rooted within the community, is the most effective way to create change. While the maxim Think Globally, Act Locally may seem simplistic, it is still the best model for social and environmental action. This principle is the cornerstone upon which the LifeCycles Project was founded, and it is why we have endured as one of Victoria’s best-loved community organizations. LifeCycles is empowering because our initiatives make sense. LifeCycles creates possibilities.